Hey guys! 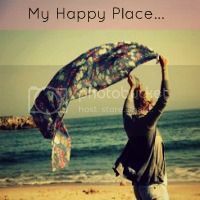 I’m over at My Happy Place guest posting today. If you love chocolate and need something to cool you off, I’ve got the perfect treat for you! Come on over and say HI! ooo that looks delicious! I have to hope over there and check it out!!!! Looks delish! I’ll be hopping over there now! Hopping over to learn how to make this! Wanted to let you know that I gave you an award on my blog today! Post will be up soon! I”ve made this twice this week. Once with peanut butter, and today with coffee. So good! Shatzi…. that looks simply DELICIOUS!!!!!! I want and grabbed the recipe from My Happy Place!